Make sure you get the latest issue, either in your inbox or mailbox! The form for collecting the few personal data that we will ask you for is compliant with the General Regulation of Data Protection (EU)2016/679. You are the one who decides on your permissions. We guarantee your data protection, respectful processing, and you may change your preferences or unsubscribe at any time. In this issue, the European Commissioner for Justice, Mrs, Vera Jourova, is shown in the cover. Her exclusive interview spans several pages. Moreover, there are dozens of interviews with Directors General of prison and probation administrations from around the world and other prominent personalities, and articles by renowned international experts. Check this issue’s contents here. 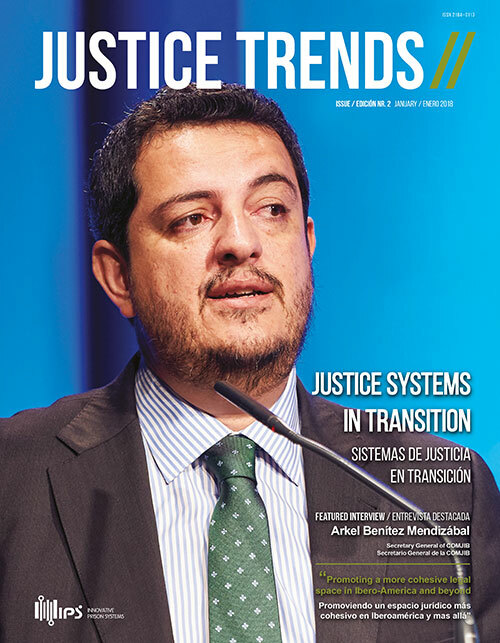 In this issue, Arkel Benitez Mendizábal, the Secretary-General of COMJIB – The Conference of Ministers of Justice of the Ibero-American Countries – is shown in the cover. Moreover, there are dozens of interviews with Directors General of prison and probation administrations from around the world and other prominent personalities and articles by renowned international experts. This issue features an Experts’ Panel on the non-consensual topic of the organisational model of prison and probation services – One, Together or Side by Side? In this issue, H.E. 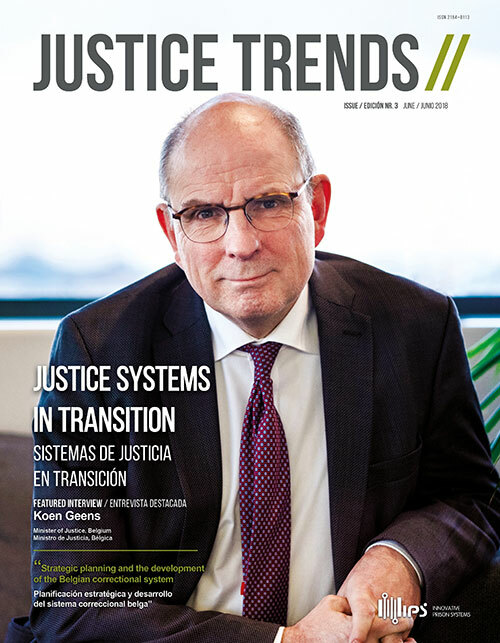 Koen Geens, Belgium’s Minister of Justice, is shown in the cover. This issue features a groundbreaking Experts’ Panel on Electronic Monitoring, whose introductory article has been exclusively written by Professor Mike Nellis. In this issue, H.E. 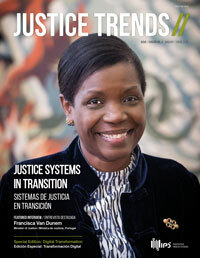 Mrs Francisca Van Dunem, Portugal’s Minister of Justice, is shown in the cover. 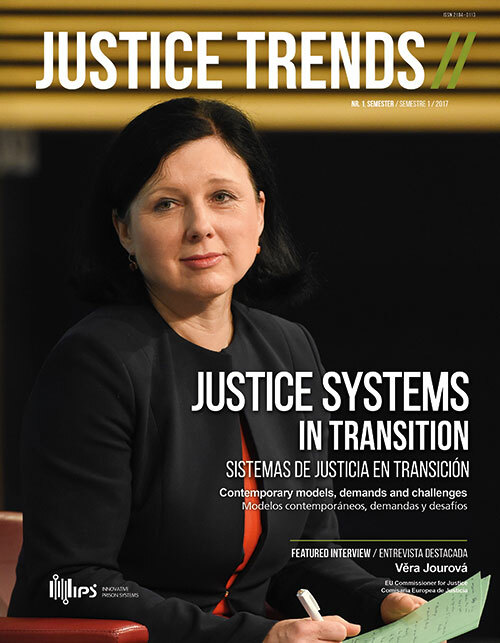 This issue is a special edition, very much focused on technologies and the digital transformation of justice systems around the world, especially prison and probation services. Hence, it features many case studies of technology implementation. Please contact us at justice.trends@justice-trends.press to place your order.